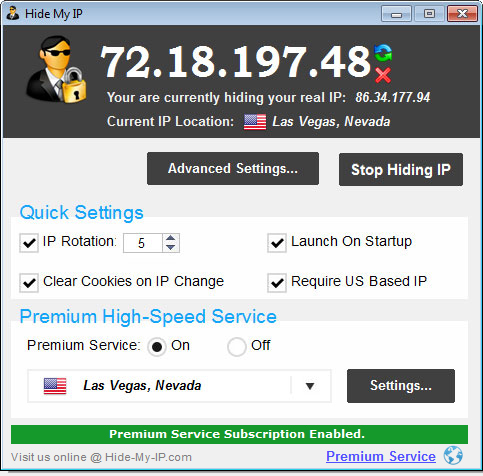 Hiding your IP address is as simple as clicking the Hide My IP button, which installs a fake IP in your any of favorite web browsers. Thousands of IP addresses to choose from. Compatible for Windows and Mac systems. Offers secure WiFi hotspot encryption, creating a secure connection between your computer and the rest of the Internet. Prevent hackers from spying on your Internet traffic. Using E-mail normally, your IP address is usually exposed to the world, allowing any recipient to see where you are or other information about you. 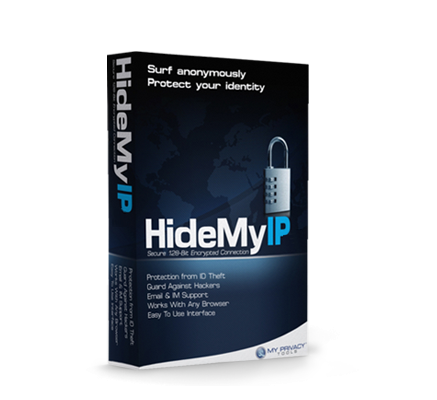 Hide My IP can cloak your E-mail headers, allowing for anonymous E-mail. Some websites block access depending on your IP address. Change your IP location to unblock sites like Hulu, Netflix, BBC iPlayer, Pandora, or other sites which maybe be censored by your ISP or in your country.